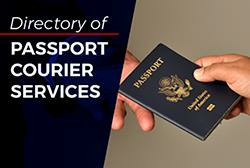 The Buffalo Passport Agency provides expedited services for American citizens who need to obtain their travel documents within 14 days (if no travel visa is needed) or within 28 days (if a travel visa is required). 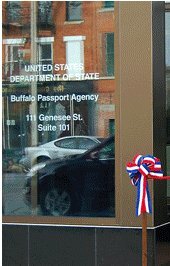 Residents of Western New York can apply at the Buffalo Agency by scheduling an appointment through the National Passport Information Center. The number to call is 1-877-487-2778. Appointments can also be made through the new online appointment system. 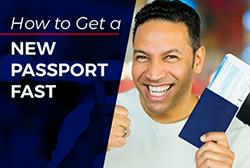 If you are not traveling or needing to submit your passport for expedited services within two weeks, you can apply at a New York Passport Acceptance Facility. 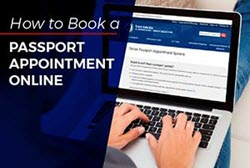 If you are not able to travel to the Buffalo Passport Agency, you can apply through a registered passport expediting service. Take I-90 East to I-190 North. Take I-190 North about 5 miles to Exit 6 (Elm Street). Head north about one mile on Elm Street (Hwy 33) to Genesee Street. Turn left on Genesee Street and travel one and a half blocks to the Agency. Take I-190 South to Exit 6 (Elm Street). Head north about one mile on Elm Street (Hwy 33) to Genesee Street. Turn left on Genesee Street and travel one and a half blocks to the Agency. Take I-90 West (New York State Thruway) to Highway 33 West (Kensington Expressway). Take Highway 33 West (Kensington Expressway) to Oak Street Exit (continuation of Hwy 33). Upon exiting the expressway, make an immediate right from Oak Street onto Genesee Street. Travel one half block. The Agency is on the left side of the street. Take Highway 33 West (Kensington Expressway) to Oak Street Exit (continuation of Hwy 33). Upon exiting the expressway, make an immediate right from Oak Street onto Genesee Street. Travel one half block. The Agency is on the left side of the street. Take Queen Elizabeth Way to the Peace Bridge. Proceed across the Peace Bridge.Take I-190 South to Exit 6 (Elm Street). Head north about one mile on Elm Street (Hwy 33) to Genesee Street. Turn left on Genesee Street and travel one and a half blocks to the Agency. Late arrivals (15 minutes after the scheduled appointment) will have to reschedule their appointments. 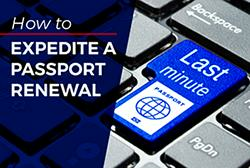 You need to present your Social Security Number or your confirmation number. Please take a seat and wait to be called.